• Tree view, drag-and-drop to reorder. 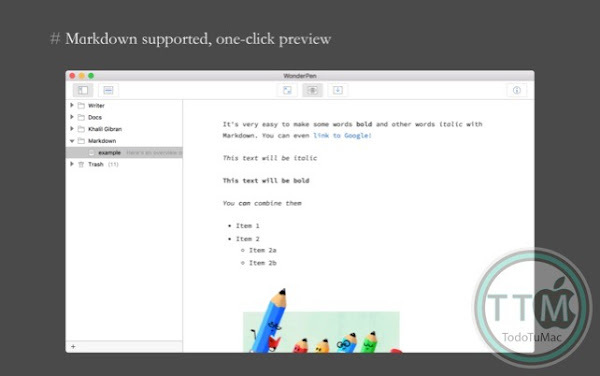 • An easy-to-use text editor that supports Markdown. 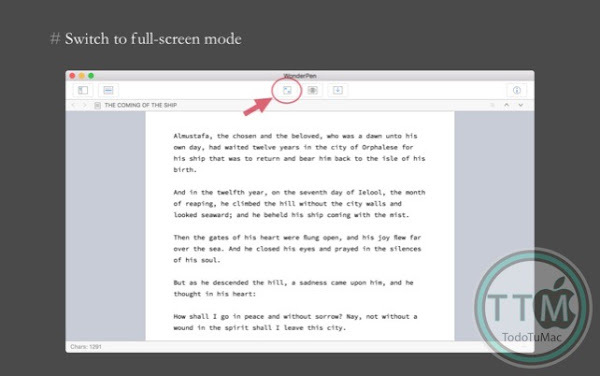 • Supports full-screen mode, lets you focus on writing. 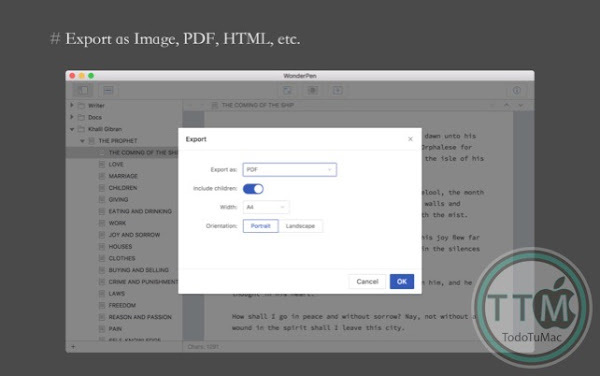 • Docs can be exported as Image, PDF, Word, HTML, etc. • Auto save while editing. You can backup all docs as a single file and restore from it later. 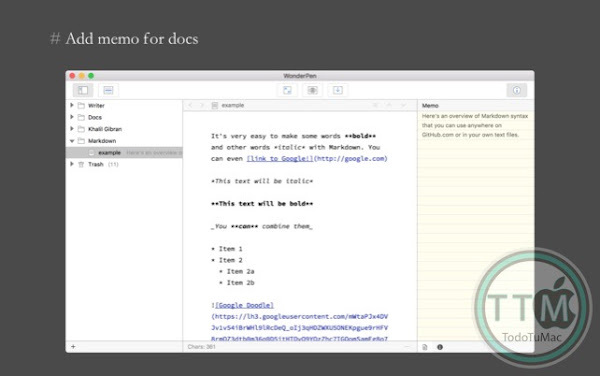 • Add memo for each doc. • Focus on one node of the doc tree. 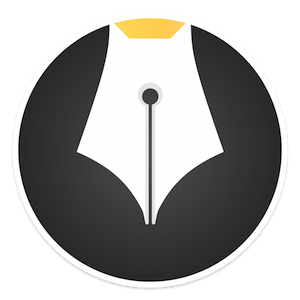 • Search in all docs. 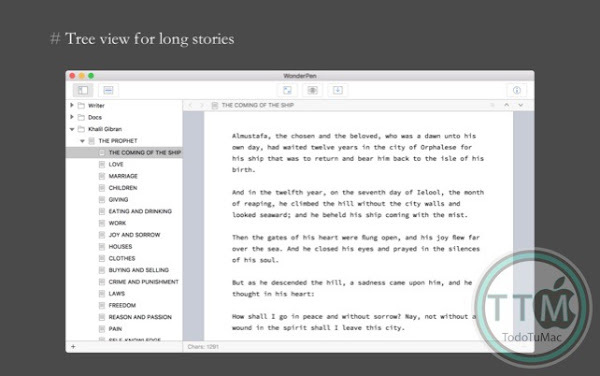 • History snapshot for each docs.